I’m Ryan Bousfield from Wolf & Wood. In the lead up to the release of A Chair in a Room: Greenwater on PlayStation VR, I would like to take you through some of the concepts and ideas that went into creating the fictional location of Greenwater. A Chair in a Room: Greenwater is a horror mystery set in a bleak imagining of America’s Deep South. As Patient No. 6079 you must relive your memories to piece together the past and why you have awoken in the sinister Greenwater Institute. The area of Greenwater is a mix of derelict towns, run-down motels and murky, decaying swamps, making the game an eerie and atmospheric thriller. But to make it as immersive as possible, we knew early on that we would need to design a world outside of anything you see in the game. The game starts in The Greenwater Institute, a brightly lit, utilitarian facility that could be anywhere in the world. On the surface it looks clean and safe, with posters of stock models smiling under the guise of care and security. This is subversive by design, as the threat in Greenwater isn’t visible from the start. Investigation of the clues is carried out by manipulating items using either the DualShock 4 wireless controller or PS Move motion controllers. This kind of ‘hands on’ gameplay means that getting up close is important. With that in mind, we’ve paid extra attention to the finer details. 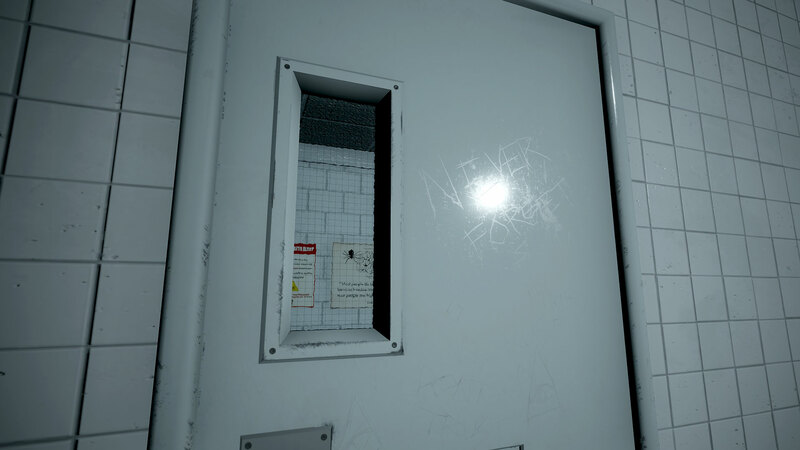 Looking closer, the clean white room reveals marks of the previous occupants, and scratched into the paint of the door are messages from another time. Remember those posters in the institute? The ones with stock images of carefree happy people. 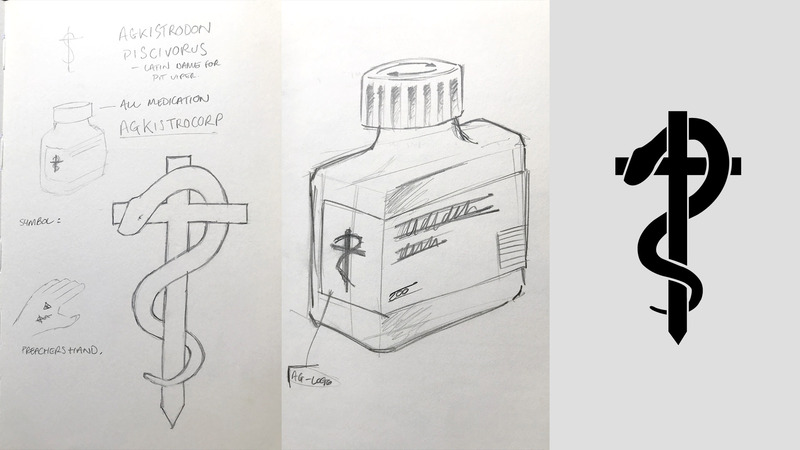 They’re all branded Agkistrocorp, just like the medication packaging and stationery. These and all the other items in the game have been designed with all the detail of a real world product: from warnings, to chemical makeup, to barcodes, each item feels believable. These work twofold as the items are either story-related or contain information about gameplay. A number of literary and cultural references are made throughout, and we feel that these ground the events happening around you, invoking a sense of familiarity in an otherwise unusual place. George Orwell’s 1984, the widely known classic and a personal favourite of mine, is a big influence for the institute. 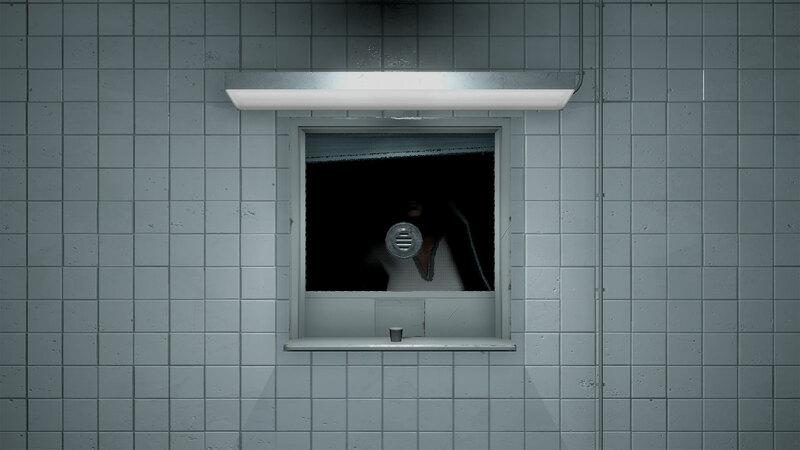 As you explore you’ll notice that posters on the walls proclaim “We are always watching,” and that doctors observe your every move through two-way glass. Even the number given to the patient, 6079, is the same as that given to Winston, the protagonist of Orwell’s classic novel. There are plenty more references and metaphors hidden throughout that don’t directly influence the gameplay but are there for those willing to look deeper. Prepare for your descent: A Chair in a Room: Greenwater comes to PS VR April 23.